Brief：China's outbound investment of UK real estate has grown remarkably in recent years and created tens of thousands of jobs in UK. in regeneration projects in Britain. Chinese investment in British real estate has increased remarkably and will continue in the coming years, industry insiders say. 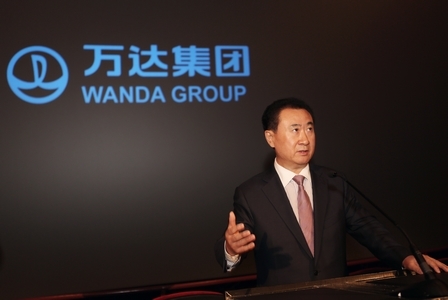 Dalian Wanda Group, one of China's largest and most ambitious conglomerates, plans to invest up to 3 billion pounds ($4.97 billion) in regeneration projects in Britain. British Prime Minister David Cameron announced the investment on Jan 24 after meeting Dalian Wanda chairman Wang Jianlin at the World Economic Forum in Davos, Switzerland. "When I met Chairman Wang Jianlin during my recent trade visit to China, I encouraged him to make further investment in Britain. So I'm delighted that Wanda has decided to invest 2 to 3 billion pounds in regeneration projects," Cameron said. "This will help to create jobs in Britain and it's a great example of how we can benefit from foreign investment." This latest plan shows Chinese companies are entering the country's real estate market enthusiastically. In London on Jan 7, Greenland Holding Group, a Shanghai-based and State-owned developer, announced an investment of 1.2 billion pounds in two overseas development projects. It signed a contract with Minerva, the property investment and development group bought by clients of Ares Management LLC and AMC Delancey Group Inc in 2011, to buy the Ram Brewery development site in the Wandsworth area of London. The transaction, valued at about 600 million pounds, represents Greenland's first acquisition in Britain. Besides that development, Greenland will be investing in a high-end residential housing project at Canary Wharf in London. Research published in last December by Jones Lang LaSalle Inc, a Chicago-based real estate service and investment company, showed Chinese investment in London real estate rose from 54 million pounds in 2010 to more than 1 billion pounds at the end of the third quarter of 2013. This increase means Chinese investment in London real estate now accounts for more than half of the total figure for Chinese investment in the rest of Europe, which stood at 1.9 billion pounds last year. While the research does not reveal how much was invested by Chinese companies. Real estate records show that they made many important deals last year. Key investors at the moment are developers, insurance companies and sovereign wealth funds. "Among Chinese companies' investment in Britain, real estate has been an obvious hot spot and a rapidly rising area in recent years," says Zhou Xiaoming, minister counselor of the Chinese embassy in London. Offices, retail and industrial units, hotels and mixed developments are the most attractive asset classes to Chinese companies. Major Chinese deals in 2013 included the sale of the landmark Lloyds building to Ping An Insurance (Group) Co of China Ltd for 261 million pounds, the significant investment in development sites such as the Royal Albert Dock, which will be developed by Chinese Advanced Business Park Holdings Group, and the Crystal Palace Park, which will be regenerated by Chinese real estate giant Zhongrong Group. Dalian Wanda closed two deals in last June, investing 700 million pounds to build a five-star hotel by the River Thames and buying a 92 percent share of Sunseeker Yachts for 320 million pounds. There have been reports that China's sovereign wealth fund, China Investment Corp, has been negotiating with US private equity group Blackstone Group LP to take over a commercial park in London. The deal is reportedly worth $1.28 billion. China has shown consistent economic growth, escaping the downturn afflicting so many other countries. As a result, big Chinese companies have the buying power to go abroad and seek globalized development. The many Chinese companies, businessmen and students who go abroad have also given Chinese real estate developers enough confidence to undertake their own overseas gold rush. Most Chinese real estate enterprises that have entered the overseas market have gone to countries where there are many Chinese companies and residents, such as the United States, Canada and Britain. "As more Chinese companies, students and visitors go abroad, we also need to promote our overseas development," Zhang says. "Powerful companies should get a foothold in overseas markets." ABP (China) Holding Group Chairman Xu Weiping also says his business park projects are aimed at Chinese and Asian companies. Some experts note that Chinese developers are looking to seek more opportunities and diversify their portfolios beyond the domestic and Asian markets. "London has always been a sector that attracted a lot of overseas investment, whether it was from the Middle East, the US, Canada or from all around Europe. 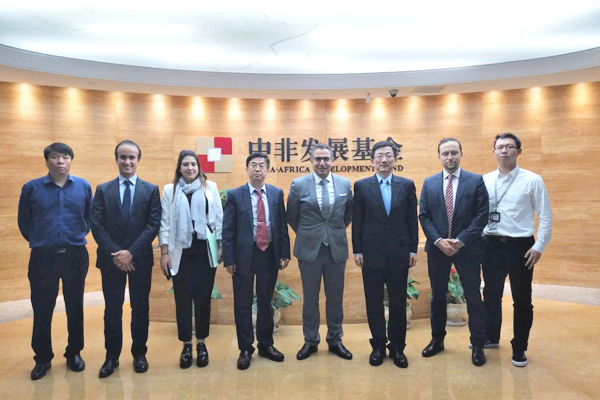 Chinese investment is welcome," says Dean Hodcroft, head of real estate at Ernst & Young LLP. Chinese investment heading to London is on an unprecedented scale and experts say it will have a dramatic effect on the country as the cash cascades through the economy. Not only will it attract billions of pounds of capital into the Britain's financial services industry, but it will also create tens of thousands of jobs. "For us, Chinese investment is important," says Edward Lister, London's deputy mayor. He has made extensive trips to China over the past year, with the aim of encouraging more firms to invest in the city. Hodcroft noted that the investments by the Chinese will be ultimately successful.